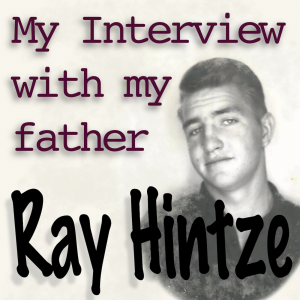 Welcome to episode 6 of my interview of my father, Ray Hintze. I spent a week staying with Dad after his back surgery in November and was able to sit him down for an hour to capture more interview material. In this episode we’ll cover the decade of the 1970s. We’ll talk about the adjustment to a new wife and a new family, and the decision to have more kids, even though between them there were already 7 kids in the family. We’ll talk about the Snow Canyon tradition, and the family trip to Southern California. We’ll cover the death of Dad’s father, Henry Herriman Hintze, and the challenge of caring for Dad’s mother. We discuss Kathie’s wedding, Kim’s heart condition and eventual operation, trips back east with Bonnie and me and then Scott and Jim. We discuss the decision to buy a boat on the advice from friends in order to keep the family close, and our family trips to Lake Powell. We talk about family trips, foster children, working at the Davis county mosquito abatement, night school, politics, the decision to finally come clean with the affair that had lasted through much of the 1960s, and eventually about a fist fight he had with Donna’s husband in the parking lot of the Hospital when he showed up to visit Bonnie who was having her tonsils removed. And much, much, more.